I met my beautiful wife 22 years ago and she immersed me into the wonderful world of Thai cuisine. Jerri prepares her Thai curries and other traditional Thai recipes with incredible passion. Her mastery of dishes like tom ka gai coconut chicken soup, nam tok moo grilled pork and gaeng khiao waan gai Thai green curry with chicken started as a child, going to the fresh markets of Bangkok and doing the shopping for her mom. 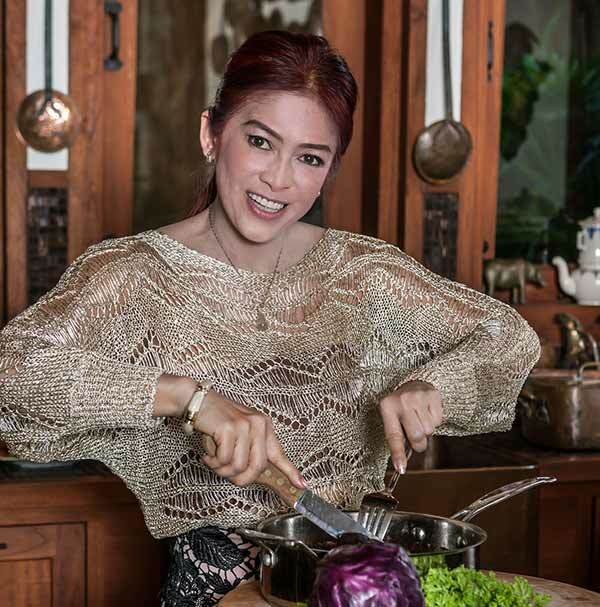 As is the tradition in Thai family life, she helped prepare all these Thai recipes and learned her family’s home cooked secrets. This was her foundation; she then flourished on her own. Behind her perennial smile, Jerri takes the taste, style and presentation of each dish very, very seriously. Her food rivals any 5 star Chiang Mai resort. 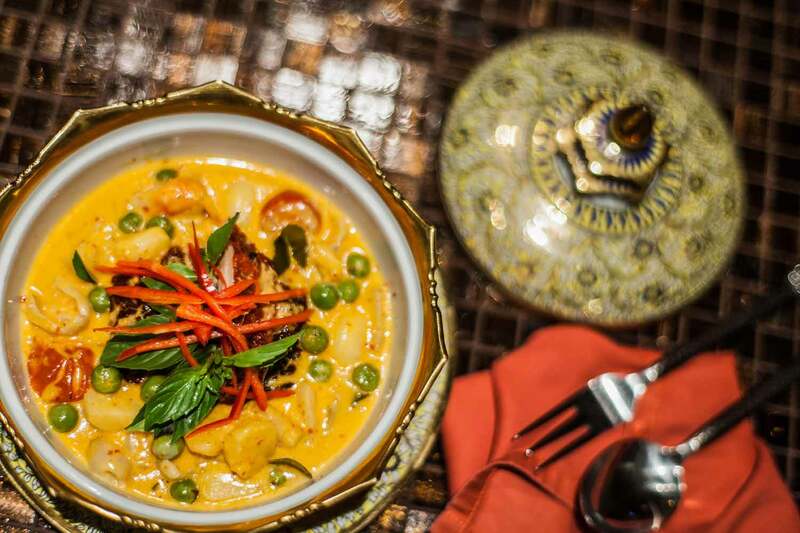 Our wish is for you to experience the best of Thailand through your taste buds. 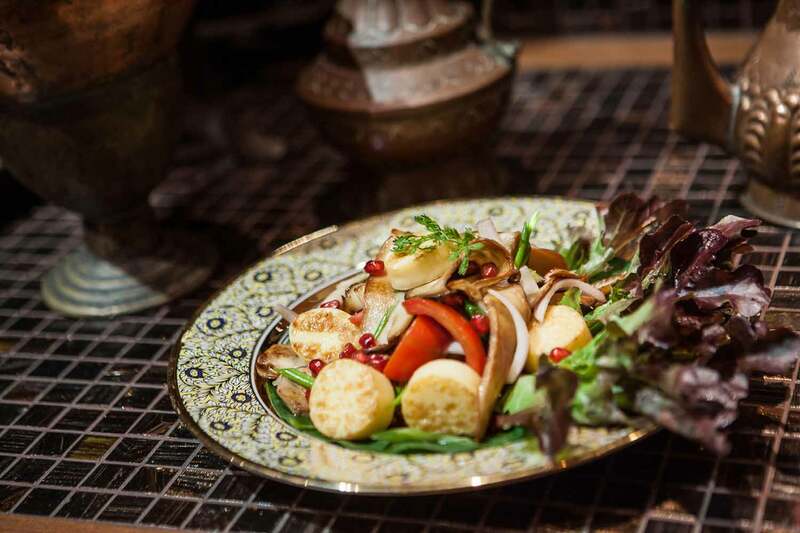 Every meal is therefore a curated journey into this wonderful world of Thai cuisine in a setting that far surpasses any Chiang Mai restaurant. During the 23 years we have lived in Chiang Mai, we have eaten out at various restaurants, but when she cooks at home, we always wonder why we bother to go out, as her cooking definitely tastes the absolute best! People on holiday in Chiang Mai always ask us about eating “Thai street food” having seen this on television shows and web sites before they arrive. In fact, the Thai recipes that Jerri inherited and cooks are what street food is based upon. Trust me, no one eats on the street after sampling Jerri’s fresh, produce to table fare, seasoned to a harmonious crescendo of the essential Thai flavors — sweet, salty, sour and of course, spicy! Jerri provided the gastronomical delights. Every meal was impeccable, and never repeated. I thought that, though I love Thai food, I may tire of it over the 6 days, but I was completely wrong. Jerri offered us such a diverse array of food at each meal that it was no longer just “Thai food” but elevated to a culinary experience not defined by category. I can honestly say that I would eat anything set before me at Howie’s …and expect to love it. 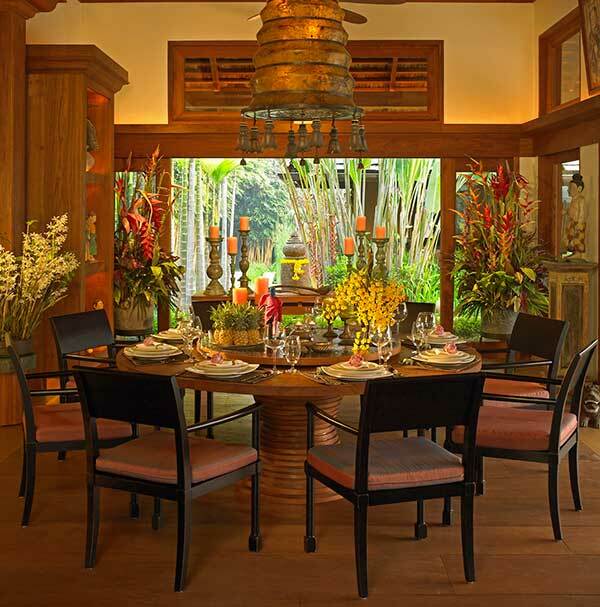 The decoration, room and service are no less than any Chiang Mai 5 star hotel. Jerri is a great cook. I told her that I like Tom Yum soup, so she made me different kinds of Tom Yum soup everyday. Then I told her I’d like some mango rice, that evening I had the best mango rice in my life. I had a great time at Howie’s. Howie’s offers you a Michelin 3-star introduction to the Thai cuisine, exceeding anyone’s expectations in variety, quantities and taste! This, 3 times a day and it’s included! Delicious is truly an understatement! Then, let’s talk about Jerri! Words cannot describe the feeling you get when you see, smell, and taste her delicious food. Delicious is truly an understatement! The meals were prepared with such care and passion. All of my senses were tingling at the culinary experience she provided. I had no idea what we signed up for but it was worth every moment! A million thanks Howie and Jerri! Jerri’s cooking is DIVINE and words will not do it justice. Arguably the best Thai food we have ever had and so customized to our taste and allergies. We feel so lucky to have found this oasis which is unlike any vacation experience we have ever had before. Forget the Michelin Star. Jerri is the star here! I’m a culinary chef by trade and the 8 course meals that came out of this kitchen are world class. When it’s time to eat, prepare to ignite your taste buds. The exotic homemade food, crafted by Jerri, the queen of the house herself is something to write home about (if the food dropped on the floor, you would not be the only person diving for it!) Forget the Michelin Star. Jerri is the star here! Witness her create dish after dish and never one repeated. She is full and a personality that you’ll ask to take her home. Trust me you will not be the first to ask. Stay at this wonderful home…you will never forget it. If you enjoy privacy but aren’t afraid to exchange friendly banter with your gracious hosts, then Howie and Jerri will welcome you to their oasis in the mountains with open arms. 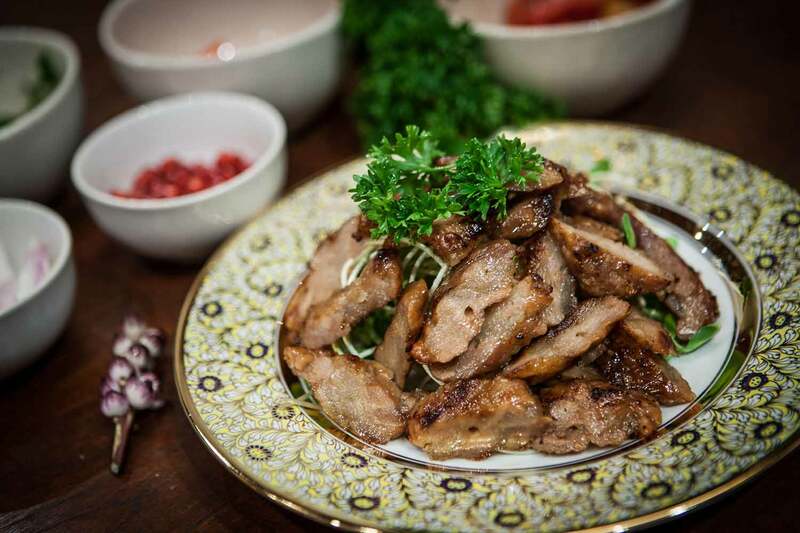 And if you want to indulge yourself in the best Thai meals served at any restaurant in the world, Jerri will cater to your every culinary desire and appetite. In short, you must treat yourselves to stay at this wonderful home…you will never forget it.